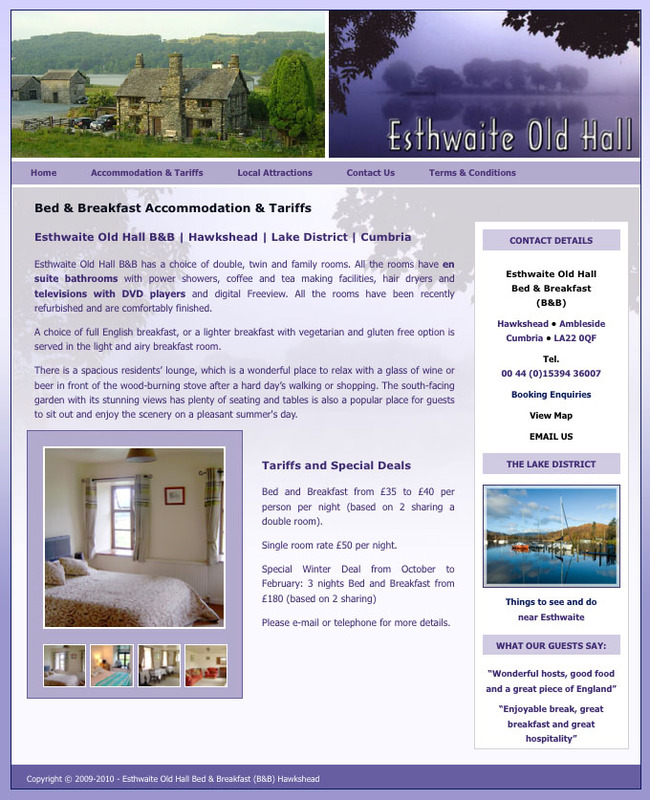 This is an established B&B business based just outside Hawkshead on the shores of Esthwaite Water. The client supplied photos of the property and some content, plus a photo taken by a photographer in Ulverston that they wanted to use as part of a 'logo'. We used these to come up with a visual of the design and then built a standard website. This site was discontinued after the client closed their B&B.